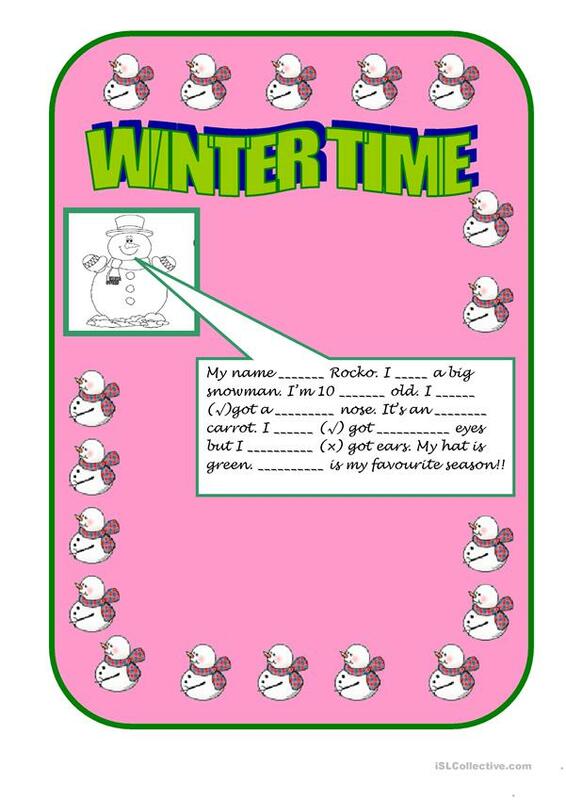 an easy fillin the blanks exercise connected with winter time. This downloadable worksheet is best suited for elementary school students at Beginner (pre-A1) level. It features the theme of Winter. alberfb is from/lives in Argentina and has been a member of iSLCollective since 2010-08-22 15:25:53. alberfb last logged in on 2018-07-28 00:59:12, and has shared 7 resources on iSLCollective so far.